What CAN you do with the CAN485? 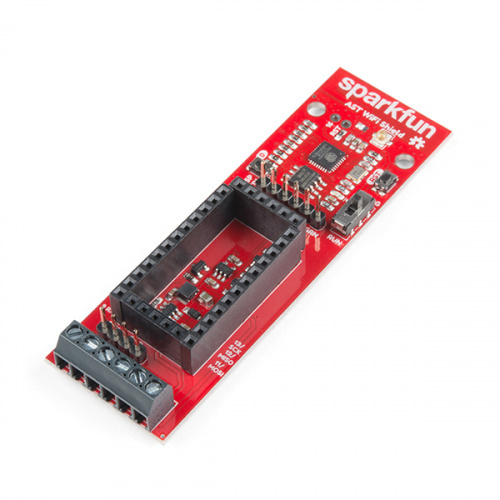 If you’ve gotten the basics of Arduino under your belt but have bigger and more demanding projects to tackle, the SparkFun's CAN485 system could be just the thing you need. 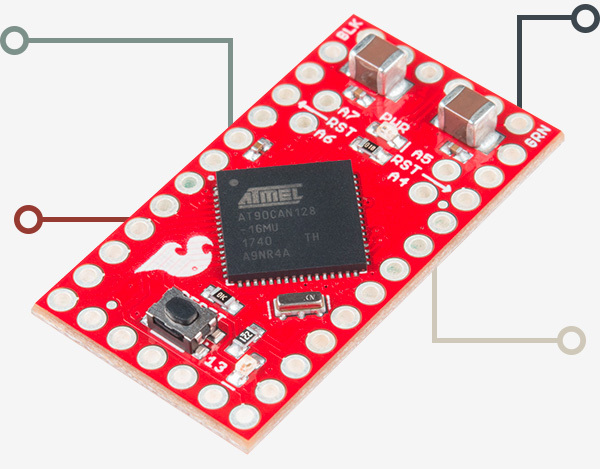 Utilizing an Atmel AT90CAN128 processor with an onboard CAN controller, a CAN bus transceiver plus an RS485 transceiver, the CAN485 board brings automotive and industrial applications within reach of those with just basic programming skills. CAN (Controller Area Network) bus is used in all modern vehicles as an electrically resilient, hostless network between numerous subsystems. 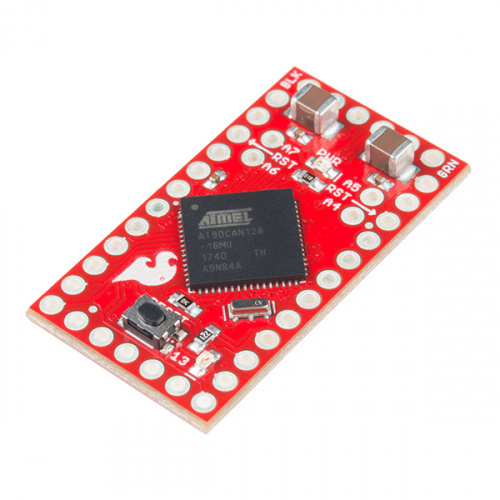 The CAN485 board comes with an onboard CAN controller and transceiver, giving you low-level access to those subsystems. 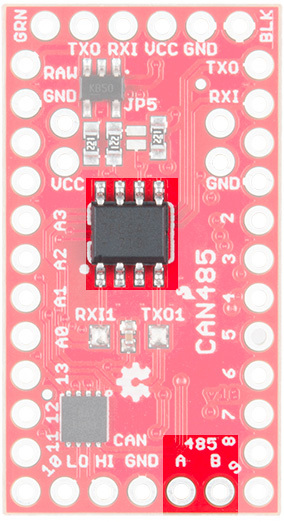 With the addition of the forthcoming 24V IO shield for the CAN485 board, as well as the two industrial-grade com standards of CAN and RS485, the CAN485 board lends itself to a host of industrial applications with the simplicity of Arduino programmability. RS485 is a common network standard used in industrial applications, giving very good noise immunity, capable of 1200-meter runs and data rates up to 10Mb/s. 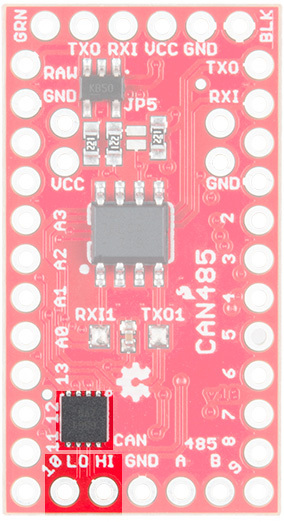 The CAN485 board comes with an onboard RS485 transceiver, allowing simple integration into your projects where electrical noise becomes a limiting factor. 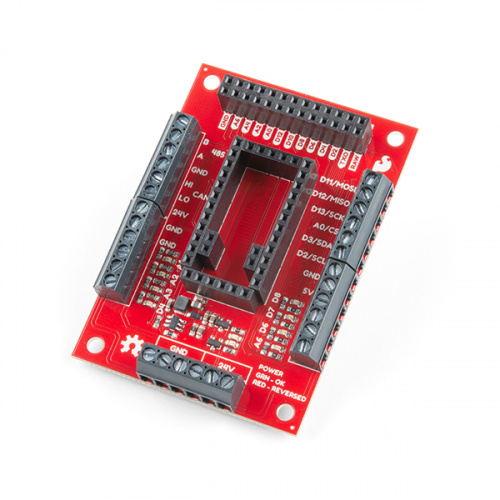 With the addition of the WiFi shield, the CAN485 board gives you wireless access from anywhere in the world to wired industrial and automotive networks where noise is problematic.